What is the proper length for a lady's skirt? A little above two feet. 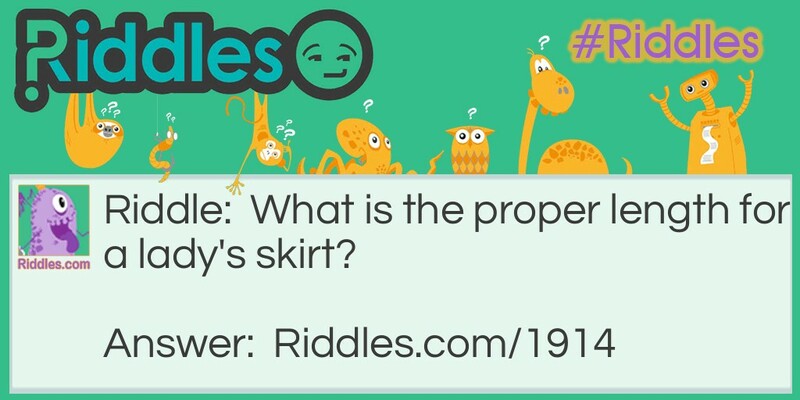 Lady's Skirt Riddle Meme with riddle and answer page link.